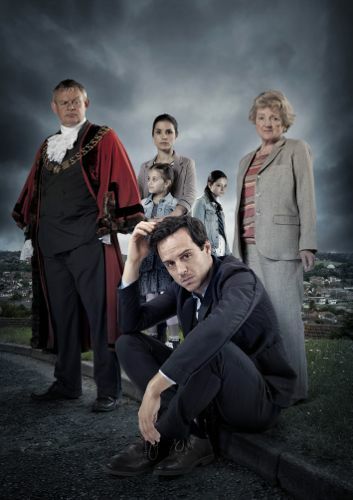 Sherlock star Andrew Scott leads the cast of three-part ITV1 drama The Town. A contemporary story also featuring Martin Clunes, Charlotte Riley, Julia McKenzie, Gerard Kearns, Kelly Adams and remarkable teenage newcomer Avigail Tlalim. It’s Olivier-award winning writer Mike Bartlett’s first TV drama and begins on ITV1 at 9pm on Wednesday December 5. Unlocking a mystery over three hours of a fresh and intriguing drama. I had the pleasure of interviewing seven cast members for ITV1’s production notes / press pack. – Andrew Scott on why Sherlock’s Moriarty will not be coming back from the dead. – Julia McKenzie speaking for the first time about her role alongside the Queen and Daniel Craig in THAT Olympic Opening Ceremony film. – Gerard Kearns on being set on fire for a film stunt. Click here to read the full ITV Production Notes, including my seven cast interviews. 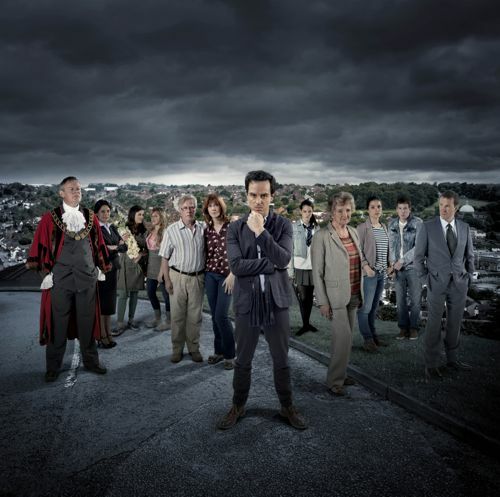 SHERLOCK star Andrew Scott has ruled out returning from the dead in the BBC1 crime drama. 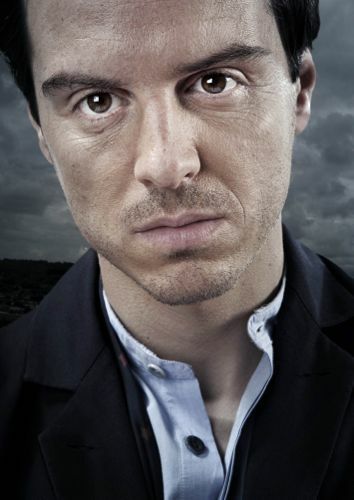 The Dublin-born actor played arch-villain Moriarty who shot himself in the head at the end of the last series. Sherlock (Benedict Cumberbatch) also appeared to be killed after jumping from a roof in the conclusion to The Reichenbach Fall. With the brilliant Baker Street detective known to have faked his own death, speculation has grown that his nemesis might also have survived. Last month Benedict spoke about the forthcoming third series of Sherlock, due to begin filming in the spring of 2013. But Andrew, who won a BAFTA this year for his portrayal of Jim Moriarty, insists there will be no resurrection for the evil genius. “Moriarty is dead. I don’t think there could have been any better exit for a character like that,” he says. “I feel very proud of Sherlock. Moriarty was a very potent character and one the audience really responded to. 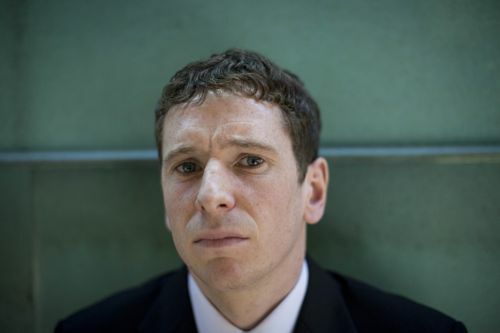 For Andrew that includes the lead role in a new three-part ITV1 drama series called The Town. He plays architect Mark, forced to return from London to his home town after a shocking family incident. “It’s just nice to show a more human side,” he adds. Sherlock has become a global hit since the modern day take on Sir Arthur Conan Doyle’s consulting detective arrived on screen in 2010. Created by Doctor Who supremo Steven Moffat and Mark Gatiss, it co-stars Martin Freeman as Dr John Watson. Six feature length episodes have been broadcast so far with three more planned in the new series. 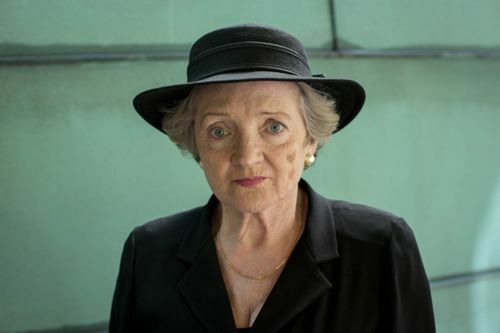 MARPLE star Julia McKenzie has spoken for the first time about starring with the Queen and Daniel Craig in their show-stealing London 2012 Olympic Opening Ceremony film. Julia, 71, doubled for the Queen, sitting next to Daniel as James Bond in the helicopter seen taking off from the back garden of Buckingham Palace. It then flew over central London, through Tower Bridge and parachuted a stuntman, posing as Her Majesty, over the Olympic Stadium at Stratford. But the former Cranford and Fresh Fields actress said she was glad the helicopter stayed on the ground during filming of the film called Happy & Glorious. Julia , who plays spinster sleuth Miss Marple, also stood in for the Queen during filming inside the Palace. “They said, ‘We don’t just want a Queen double. We’d like an actress. Why don’t you do it?’ I don’t really look like the Queen but I was a physical match. “So I went and met the director Danny Boyle and we had a laugh. It was a couple of days at Buckingham Palace and huge fun meeting Daniel Craig. I mean, who wouldn’t do it? “I didn’t meet the Queen, although I’ve met her several times before. But I did sit at her desk in her lovely sitting room. The Olivier award-winning actress, who has starred in several Stephen Sondheim musicals in the West End and Broadway, is known to be a favourite of the Queen. Julia recently filmed a new Marple film – A Caribbean Mystery – on location in South Africa and is currently working on the first of two further ITV1 stories involving Agatha Christie’s spinster sleuth. 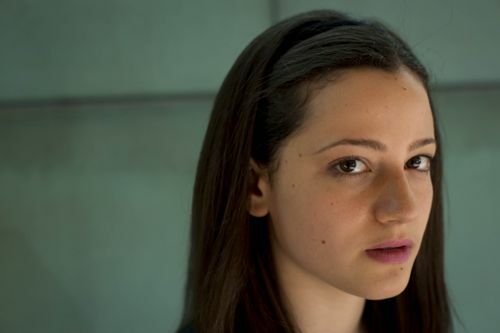 She also appears alongside Sherlock star Andrew Scott in new three-part ITV1 drama The Town. The veteran actress plays retired psychotherapist Betty in the serial also starring Doc Martin star Martin Clunes and Hustle actress Kelly Adams. FORMER Shameless star Gerard Kearns ended up in flames filming a stunt for a new movie. “I play a character who gets beaten up by a gangster and set on fire,” he said. “They put me in a suit, doused me in a load of white stuff which they said was fire repellent and told me to lie down. “Then they lit up a petrol bomb and threw it at me,” revealed the actor who played the Chatsworth estate’s Ian Gallagher until his dramatic exit two years ago. The film called Wasteland tells the story of a man recently released from prison who recruits his three best friends to rob the local drugs baron who put him behind bars. Gerard, who plays Charlie, added: “I had to wait until someone shouted, ‘You’re on fire.’ And then I had to roll myself out. “I can’t deny that I was excited about doing it but I was also quite nervous. And we did it twice. The film, due out soon, is just one of several roles Gerard has starred in since leaving The Jockey regulars behind. As one of the original characters, would he consider returning for a guest role in the last ever Shameless series, to be screened next year? Gerard also stars as trainee undertaker Daniel in new three-part ITV1 drama The Town, which begins at 9pm on Wednesday December 5. 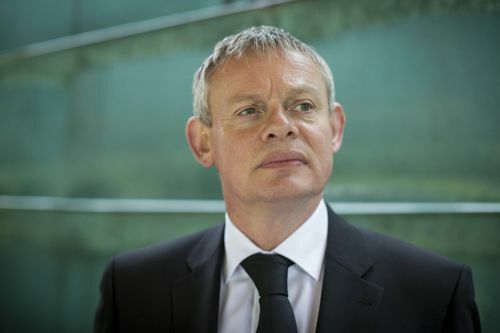 Martin Clunes as Mayor Len. Posted in News and tagged Andrew Scott, Avigail Tlalim, Big Talk Productions, Charlotte Riley, Gerard Kearns, ITV Drama, ITV1, Julia McKenzie, Kelly Adams, Martin Clunes, Mike Bartlett, Moriarty, Sherlock. Bookmark the permalink.